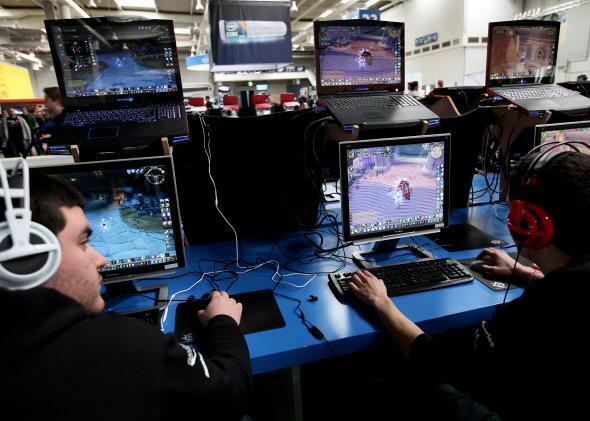 U.K. politician Mike Weatherley thinks stealing in video games should actually be punishable. Should Stealing in Video Games Be Punishable in the Real World? Should real-life legal standards apply in World of Warcraft? Video games aren’t real, right? The whole point is to use them for doing things you don’t normally do. But immersive, multiplayer games have some really real aspects. You might pay actual money just to access a game, and then buy additional items or services within the virtual world (still with real money). And if you buy something that someone then steals as part of the game, is that real, punishable theft? No. Wait, yes? Maybe! Weatherley is advocating increased enforcement for major thefts and large organized efforts. He says that he’s not looking to target minor thefts that are in the spirit of competition. For example, in World of Warcraft, a game that has a monthly subscription fee as opposed to in-game purchasing, people sometimes steal others’ entire accounts in order to get their character. And characters can effectively be worth a lot of money if their original owner paid for months of the game to level the character up and equip it with rare gear. Another example is EVE Online, in which players are encouraged to use real money to buy in-game currency that in turn can purchase important gaming objects. But EVE also encourages reckless and lawless behavior, resulting in frequent thefts and battles that cost hundreds of thousands of dollars in real-world money. Weatherley isn’t the first to call for real law enforcement when people steal in games. For instance, in 2012 the Dutch Supreme Court convicted a gamer of theft for holding another character at knifepoint and stealing a shield and amulet in the game RuneScape. Weatherly said, “If you’ve spent £500 on building up your armed forces and someone takes them away online, I guess you can feel hard done-by and you want your £500 back. People shouldn’t be doing it.” At the extremes, it makes sense to look at huge in-game thefts while letting tiny ones go—these are games, after all. But there’s a whole gray area in the middle where it’s hard to know what’s illegal and what’s all in good fun. Especially if a game has “war” baked right into the title.